With the successful space launch of ArduSat aboard a H-IIB rocket last Sunday 4th August, the first open satellite platform that allows private citizens to design and run their own applications in space is now on its way to the International Space Station (ISS). Included in the standard payload of the two 10cm x 10cm orbiters launched this week are Radiation Sensor Boards designed by Libelium that will monitor radiation levels generated by space phenomena such as sun storms and background activity. This sensing technology acts as a Geiger counter measuring gamma particles produced anywhere in space. 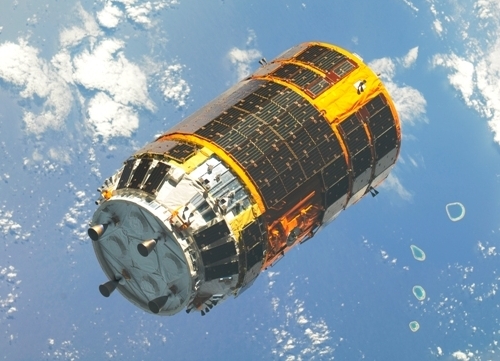 Once the ArduSat is released into orbit from the HTV-4 cargo (image above) at an altitude of more than 300km, students from a dozen schools across the United States and select schools in Brazil, Guatemala, India, Indonesia and Israel will access and control the satellites for their science experiments, beginning this fall. 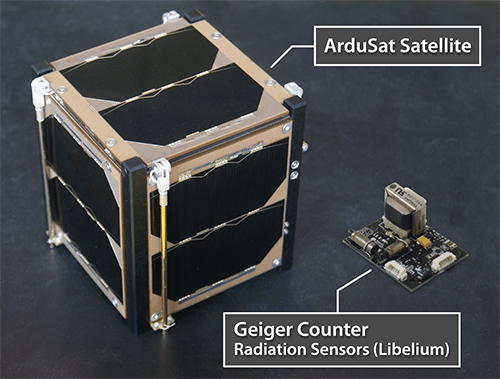 One of six pre-built experiments uses the Libelium Geiger counter to detect high-energy radiation levels from space. “Our Radiation Sensors were developed originally to measure radioactivity levels on Earth. We adapted them to meet the satellite’s restrictions in terms of weight, size and power control, in a nice collaboration between Libelium and ArduSat engineering teams,” said David Gascón, co-founder and CTO of Libelium. “We’re making space exploration affordable and accessible to everyone, with a space platform that lets the users innovate. The spirit of discovery and sharing that inspires open source development fits perfectly with this aim and makes it come to life,” said Peter Platzer, CEO of NanoSatisfi, ArduSat’s parent company.